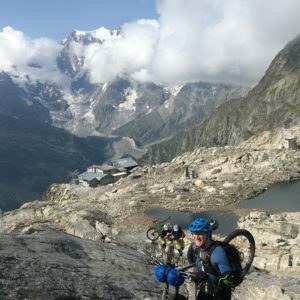 The Tour of Monte Rosa is our brand new trip for 2019 and it’s already Jamie’s favourite. Jamie first tested the route in the summer of 2017 and knew it was going to be a great trip. 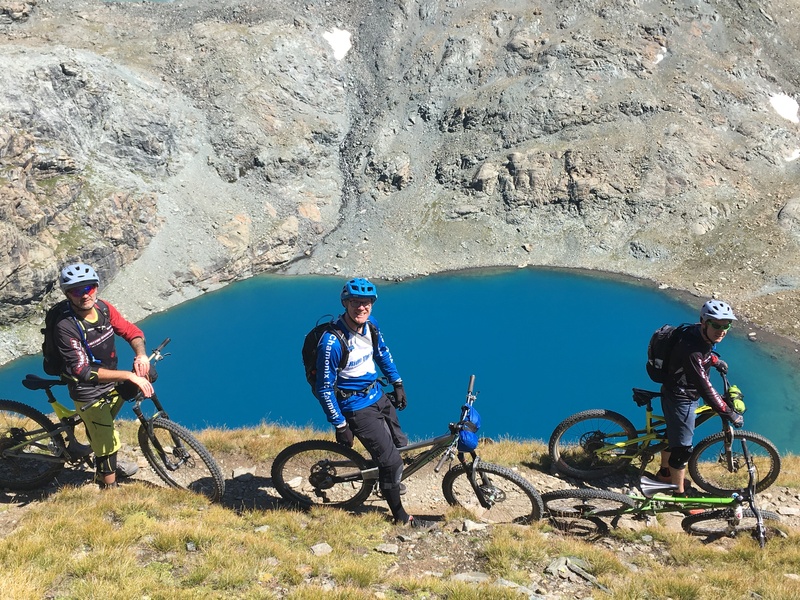 This summer we piloted two trips with regular Ride the Alps riders and everyone agreed it was set to be another Ride the Alps classic. 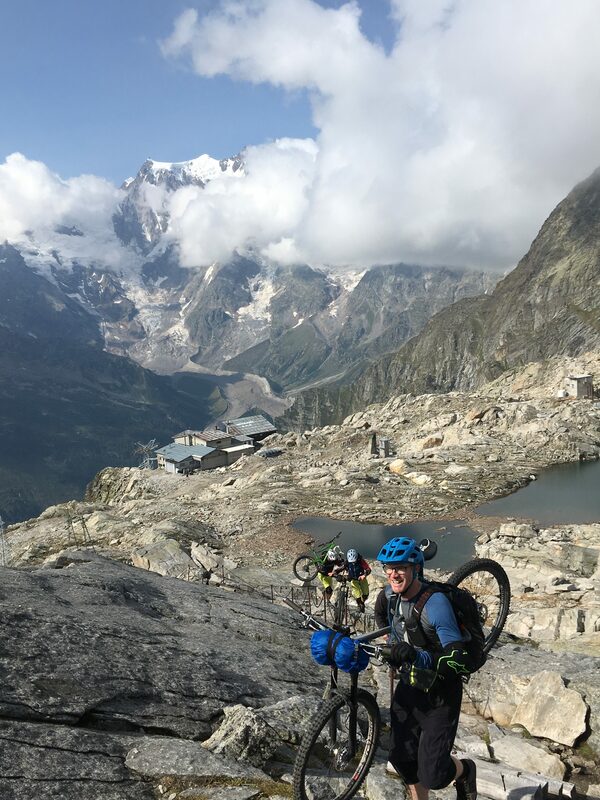 With each pilot trip Jamie has been trying out new trails, seeking out the best accommodation and generally finessing the route. We are now agreed that the Tour of Monte Rosa is ready to ride! 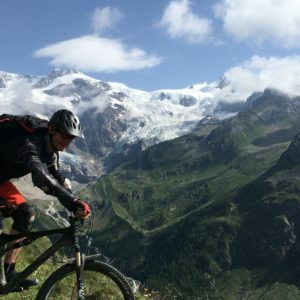 The Ride the Alps mountain bike tour of Monte Rosa is a true adventure. This is a route Jamie has pioneered using little used trails so the riding is rough and very technical in places. 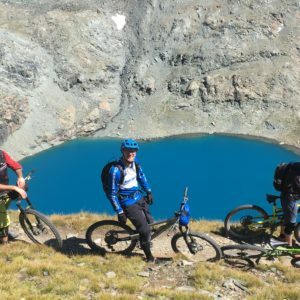 Be in no doubt that this is a very demanding route for committed mountain bikers who ride regularly every weekend and have ridden multi day routes before. There is no van on this trip to carry luggage, tools and spares. 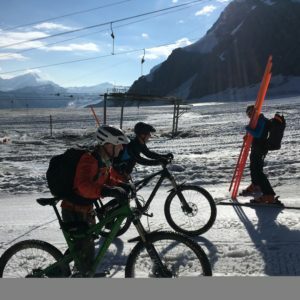 Riders preferably need some experience of bikepacking in order to come on this trip. On the Italian side of the mountain the riding is rougher and more technical than on any of our other point-to-point routes. There are several long sustained technical descents. 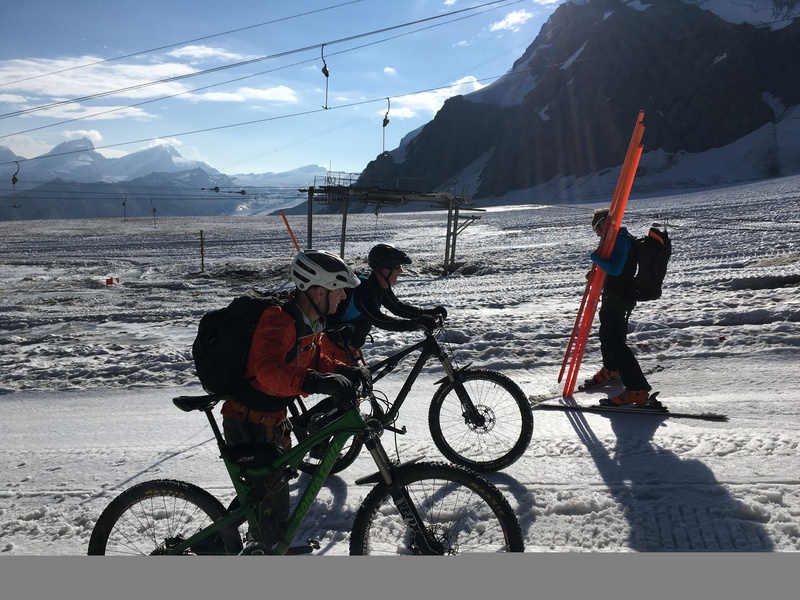 Although the daily mileage is quite low and the climbing reduced by cable car support it’s definitely our toughest trip both physically and technically. 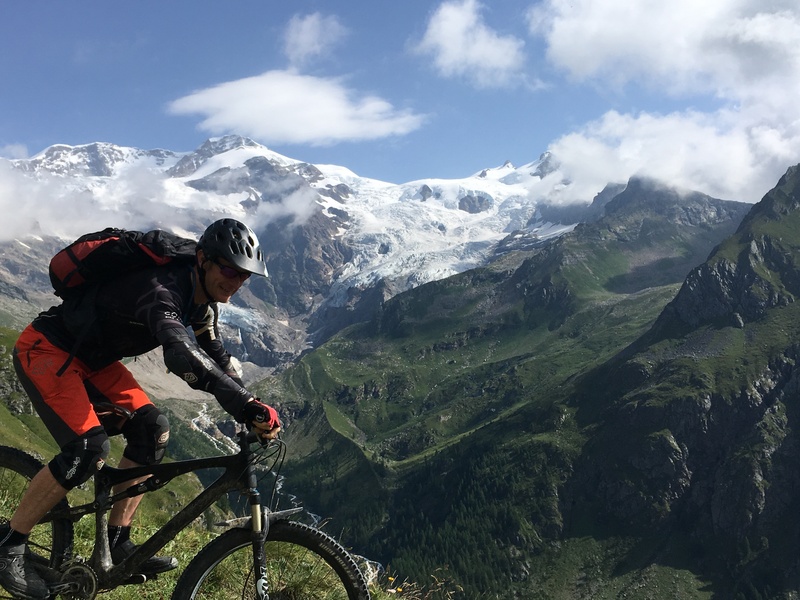 The Monte Rosa is for experienced Alpine mountain bikers only. With this trip we hope that we will tempt back some of our old friends who have ridden all of our long-standing trips and of course also welcome some new faces. Go to our website for further information on the Tour of Monte Rosa or get in touch with Mary directly.